While Budweiser in Canada is not the official beer of the NHL, the brand has created a remarkable hockey campaign that was recently unveiled. 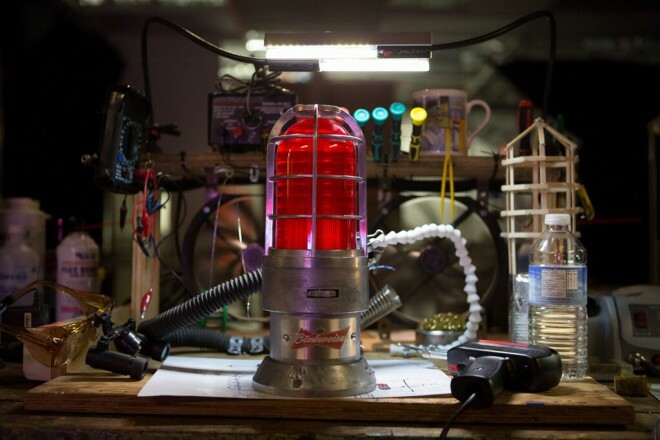 In trying to connect with consumers passion for their favorite team, Budweiser looked no further than the most electric and energizing site inside a hockey arena, the flashing Red Light signaling a goal. This unique consumer engagement strategy infiltrates the home &/or offices of the brands devoted fans. These lights are installed & synced to a wifi network. When a game is on, it wakes up and starts listening over the network for a score. When the puck goes in the net, the light goes crazy. Besides a typical ingredient or attribute, Budweiser is capitalizing on a potential emotion, which is extremely powerful. Celebrating good times is the essence of Budweiser and this execution marries that sentiment. The amount of emotional and relevant content which fans with capture and share with friends will help to reestablish Budweiser as a fan favorite with hockey supporters. After watching the commercial, you know you will want one. This entry was posted in Activation, Branding, Marketing, Sports and tagged Budweiser, Hockey, NHL, Red Lights. Bookmark the permalink.